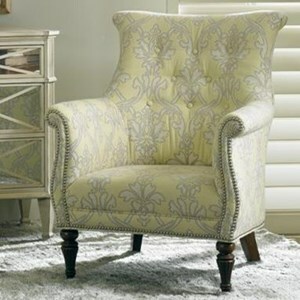 Graceful feminine curves add a sense of motion and charm to this classic accent chair. 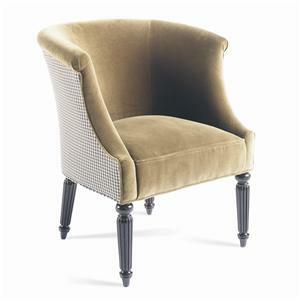 The timeless styling is a must, as this chair was quality-crafted to last for decades. 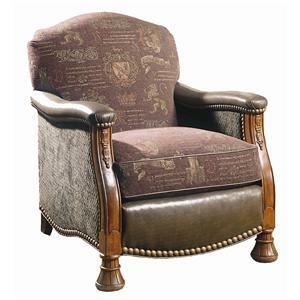 Customize the design with personalized fabrics, trims, or nailheads. 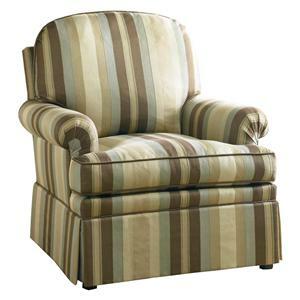 Or choose a custom seat cushion construction or performance fabric to increase the life of your next family heirloom. 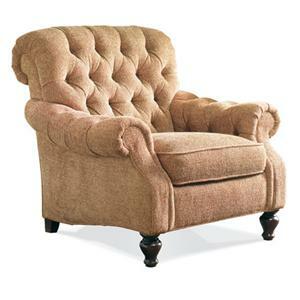 The 1728 Traditional Swivel Chair by Sherrill at Adcock Furniture in the Athens, Bogart, Watkinsville, Lawerenceville, Gainesville, Georgia area. Product availability may vary. Contact us for the most current availability on this product. Fabric Options Hundreds of fabric options available for special order. 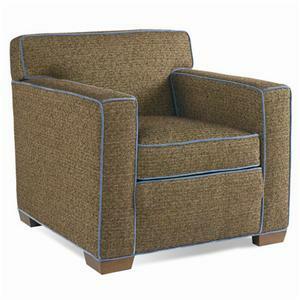 Our fabric line is as extensive and varied as any in the upholstery business. 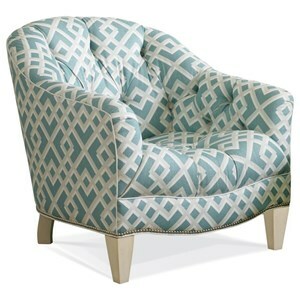 We stock a complete selection of colors, patterns, weaves and yarns - all carefully selected to complement the design and craftsmanship of your new Sofa or Chair. Frame Construction Frames are constructed from selected 5/4" and 6/4" solid and laminated hardwoods. Each frame is precisely hand-cut and assembled, with double dowels and corner blocks to form sturdy joints and minimize frame stress. Seat Support Eight Way Hand Tied Coils means that the individual spring coils are hand-tied and bound together in eight separate directions using polyester cording. The cording is then securely anchored to the frame. Padding & Ergonomics The standard seat cushion is our U-D Cushion, with a combination of premium foam and polyester fiber encased in a sewn ticking. 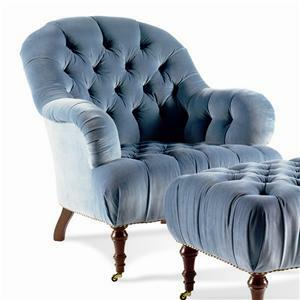 Additional cushion comfort options are available for special order, each cushion option is designed for a different level of firmness and tailoring.